Canadian poet, novelist and teacher Mary di Michele has one of the most distinctive voices in North American writing. Her poetry has been included in over a dozen anthologies. She has won several prizes: the CBC poetry competition, 1980; the Silver Medal, DuMaurier Award for Poetry, 1982; Air Canada Writing Award, 1984; the Toronto Arts Award, 1990; and the Arc Confederation Poets Award, 1996. Born in Lanciano, Italy, in 1949 di Michele emigrated to Canada with her family in 1955. Before this move the family lived in Belgium for two years. She grew up in Toronto and attended Vaughan Road Collegiate where she encountered the poetry of John Keats and Gwendolyn MacEwen. She began university by studying history, but completed a B.A. in English at the U. of T. (1972) and an M.A. in English and creative writing at the University of Windsor (1974). In Windsor she worked with Joyce Carol Oates and met Tom Wayman. In Toronto she became part of a literary group which included Pier Giorgio Di Cicco, Roo Borson, Carolyn Smart and Bronwen Wallace. She was one of the poets included in the anthology, Roman Candles (1978) edited by Di Cicco, and in The New Oxford Book of Canadian Verse (1982) edited by Margaret Atwood. In 1986 she was in Vancouver at the conference where the Association of Italian-Canadian Writers was founded. Early in her career she worked as a freelance writer and editor with Toronto Life, Poetry Toronto and The Toronto Star. She held posts as writer-in-residence in Toronto, Regina, Banff, Montreal, Rome and Bologna and gave writing workshops in Ontario and Alberta. Since 1990 she has been teaching creative writing in the English department at Concordia University, Montreal, where she is now full professor. Mary di Michele’s first book of poetry, Tree of August (1978) signaled the beginning of her exploration of the Italian-Canadian experience. This examination of family relations continued in Bread and Chocolate, a book printed and bound together with Bronwen Wallace’s Marrying into the Family (1980). 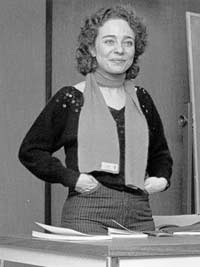 With Mimosa and Other Poems (1981) di Michele became a major voice among the growing number of Italian-Canadian writers and women poets. In Mimosa a series of monologues between two daughters and the immigrant father dissects their Italian-Canadian heritage, family dynamics and a woman’s ambivalence towards patriarchal authority. Di Michele demonstrated her mastery of the confessional mode in which lyric poems become meditations with Necessary Sugar (1984), Immune to Gravity (1986) and Luminous Emergencies (1990). This last collection includes a group of poems inspired by a literary tour of Chile with Patrick Lane, Lorna Crozier and Gary Geddes. In 1984 di Michele edited, Anything is Possible, an anthology of eleven young women poets which promoted writing from the "world of feeling." In her later work di Michele expanded her subject matter and her genres. In 1994 she produced a novel, Under My Skin, which deals with media, violence and identity. In Stranger in You: Selected Poems and New (1995) di Michele experiments with the prose-poem form and political subjects, a practice which grew into a complete book with Debriefing the Rose (1998). In this work conversations with dead poets give us a sense of her literary traditions. Di Michele’s novel, Tenor of Love (2005), which deals with the life of Caruso, is in this poetry tradition of finding and recreating the voices of historical figures. This novel is published simultaneously in Canada and the U.S.